ISHPEMING — Summer is known as construction season in many parts of the Upper Peninsula, and the City of Ishpeming is no different. 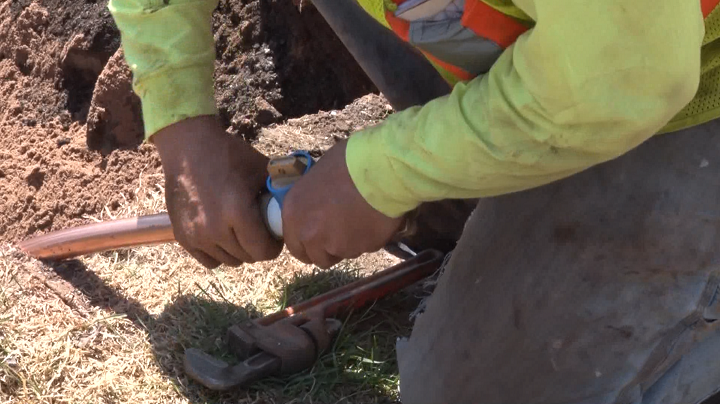 All this summer, crews will be working on the city-wide Water System Improvement Project. This $10 million project, that was started a little over two years ago, is finally in the works. $3 million of the funding for the project is provided by a grant from the USDA. The project will replace water mains that are breaking and leaking, and replacing them will be the cheapest option in the long run. “The existing mains are in pretty rough condition, pretty old some manes can be pushing up to 100 years old. The city has multiple issues in the winter with freeze-ups or just with breaking. Just the overall condition of the water system needed to be improved,” said Brian Fabbri, the engineer of the project. The City of Ishpeming staff would like to remind residents to be patient with the ongoing work. “Please be safe, please be careful. Take your time around the construction areas, if you have to go through them. If you don’t have to go through them, don’t. That’s an easy thing to say, everybody wants to go wherever they want to go. Just use common sense and everything will be fine,” said Ishpeming City Manager Mark Slown. The Jasper Street and Bluff Street Intersection will be closed starting Tuesday, May 8th until this Friday, May 11th. Division Street will also be down to a single lane in some areas from 7:00 a.m. to 7:00 p.m. on May 9th. On Thursday, May 10th, the water will be shut off at 8:00 a.m. for residents that live on the East end of Summit Street. Service should be restored by 4:00 p.m. on the same day. To keep up to date on when crews will be working in your area, click HERE or visit Ishpeming’s website HERE. A map of the project is available at city hall. Construction is expected to wrap-up in October of this year.